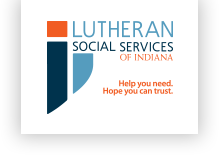 Justice Bread is an ongoing Lutheran Social Services of Indiana (LSSI) fundraising effort to provide supportive services for individuals and families. This program is made possible through a partnership with the Indiana Baking Company and volunteers within several congregations. Volunteers from partner congregations sell fresh-baked specialty breads, available at a nominal fee per loaf. 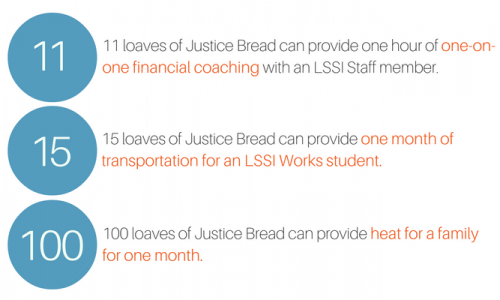 Proceeds from Justice Bread sales help support the Cup of Kindness Program, which provides assistance to help individuals and families move toward financial stability. If your church isn’t currently participating in Justice Bread, and you’d like to learn more, call our office at (260) 426-3347. 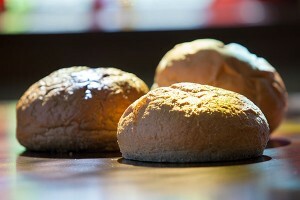 For a listing of breads featured each month, please click here.